Bluffing games are one of my favorite of the 20 board game types. I like being sneaky and trying to outwit my family and friends when playing these games. Though I’m not actually that great at bluffing card games, they are still some of my favorite to actually play. This list is in no particular order. I have great memories from all of the bluffing card games in this list. Well, I guess I do have some bad memories as well from them as you will see. But mostly great memories! Now let’s head on over to the ballroom to start this list off and become whoever you want to be. I learned this game at GenCon (2014 I think). We had the best demo person for this game. I can’t think of a better demoer in all of my years of gaming. He was incredible and he made every move fun and entertaining. This game took a little while to get the hang of. But once we did, it was a blast! We have played this game many times. But like with all bluffing card games, the fun factor depends greatly on who you are playing with. So if your group is really fun and creative, then you will love this game. Bonus: This game is one of the only bluffing card games that has a really fun 2 player version. Actually, I often prefer the 2 player variant which is unusual for bluffing games. Because bluffing card games are usually designed for larger groups (5+). When I have to teach this game, I have noticed that people understand it a bit quicker than Masquerade. But the actual game play is a bit more in depth and complicated. Not only does each player have more to think about, but there are also more options to take. This allows players to be more creative in their bluffs. Which is why I like to play this game more with my brothers. Because we all play games competitively when it is just the 3 of us. I don’t know why, but it feels so satisfying tricking your brothers and best friends! I learned how to play this when I was working at an insurance company. We had an extended lunch and my friend had brought Spyfall to show us. My computer programming teacher/mentor even played with us and he doesn’t normally play games. Everyone seemed to have a lot of fun with this game. I know I did! Spyfall also tests your deduction skills which is a big plus for me. However, I have played again since. Except this time with a different group of friends. Half of the group were people that don’t normally play bluffing card games (or games in general). So there was a bit of confusion on some of the rules and what was clues were allowed to be said. This made the game significantly less fun. But we did have one player who seemed to not like any of the games we showed her. Which of course makes ANY game much less fun to play when someone else is not enjoying them at all. But again, if you have a fun and creative group, then this game is really awesome to play. There are a lot of interesting clues you can give out to your teammates. Along with fun false clues to mislead your enemies. I’m not exactly sure how to rate the teachability and difficulty on this one. It may be a lot easier for others to learn and teach. But I had a hard time the several times I taught it to different groups. Though the game play is fairly simple once everyone gets the hang of it and decides on how to play it properly. My best memories of this game were when I first learned it and spent all of Thanksgiving playing it at my grandparents house with my family. This was one of our favorite bluffing card games of all time. The teachability can be anywhere from 1 to 4 depending on what version you play. The very basic version of Werewolf is really simple to teach. While the deluxe version can get a little complicated with all of the special roles. However, you can recreate the original version of Werewolf with the deluxe version so that is why I recommend the deluxe version. Because you can always add fun roles to the game once players are comfortable. My friends from my semi professional trading card game days showed me this game. We had a lot of fun in our Las Vegas hotel room playing this while others were out losing money at the slot machines. I have made many of great memories playing different versions of this game since then. And I continue to show family and new friends to this game because it is a game that almost everyone can play and enjoy. Standard Werewolf games are very long and have many rounds. The part I like best about One Night Werewolf is that it is only one round (night). I like this because everyone can just play a new round after the night is done. As opposed to having more and more players have to sit out after being killed by the village or werewolves. I also really like how the designers balanced the roles for this one round version of Werewolf. And the cards have great artwork on them! One downside to the game is the setup can take a bit of time (2 minutes). During this time players have to do their best to not hear each other “waking up” and moving cards around. We gently hit the table to help avoid hearing one another but it is still an annoying part of the game. Though I think the wait and mild annoyance is very worth it. This is my favorite bluffing card game to play with my family and friends that aren’t very into games. Balderdash is very simple to learn and also fun to play. One person reads a word (or acronym) out loud. And then everyone tries to makeup a definition that fits the sound of that word. If other players pick your definition, you get points! My favorite memory of playing this game was when my little brother gave a definition of a “Female Blood Elf Warlock…” for (I don’t remember the word). Our uncle read the card outloud and the look on his face was priceless!! The reader is supposed to read all of the answers with a straight face. But he couldn’t hold back the confusion or a “Female Blood Elf Warlock”. We still laugh about that 8 years later. 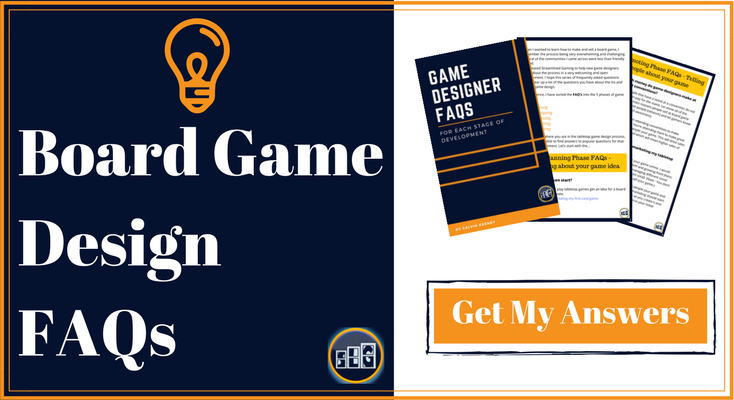 What Bluffing Card Game Will You Try Next? Do you have a favorite bluffing game? Which of these bluffing card games are you most excited to try next? Let us know in the comments below so we can play too! Streamlined Gaming is a participant in the Amazon Services LLC Associates Program, an affiliate advertising program designed to provide a means for sites to earn advertising fees by advertising and linking to Amazon.com. 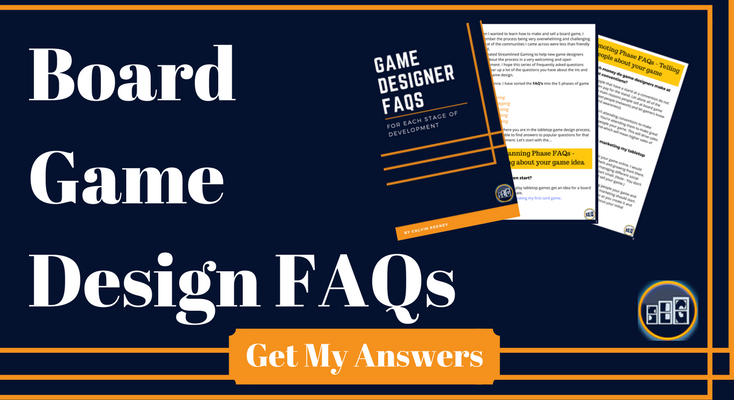 Want Updates about Game Design?